Flowers make a nice gift to the friend that needs a smile or for that special someone in your life. Roses are even better. But sometimes even roses don’t cut it. Sometimes you need something a little more non-cliché, something…extraordinary… Sometimes, you need BACON. 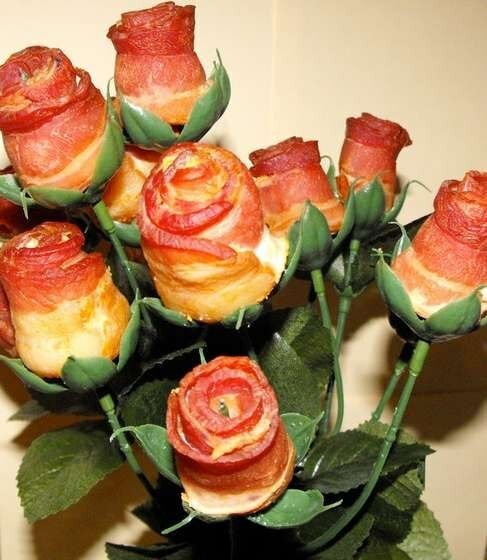 via Bacon Rose Bouquet Looks Delicious. dammit Tiki, I was just going to submit this. Win her heart through an Internet meme that refuses to die?